Existing just below the reach of scuba gear, life in the shadowy deep ocean reefs has remained largely unstudied by marine scientists. Now, after six years of incredible discoveries made by submersible expeditions in the southern Caribbean Sea, a team of Smithsonian researchers has provided the first detailed snapshot of a surprisingly diverse ecosystem so unique that a new ocean zone had to be defined around it. Welcome, ladies and gentlemen, to the “rariphotic”. Representing the section of the water column from where the scarce light filtering through the above mesophotic zone (40 to 150 meters/130 to 490 feet) has all but disappeared, the rariphotic (around 150 to 309 meters/490 to 1,015 feet) is too dark to support photosynthetic reef-building corals, but lies above the abyssal aphotic zone. 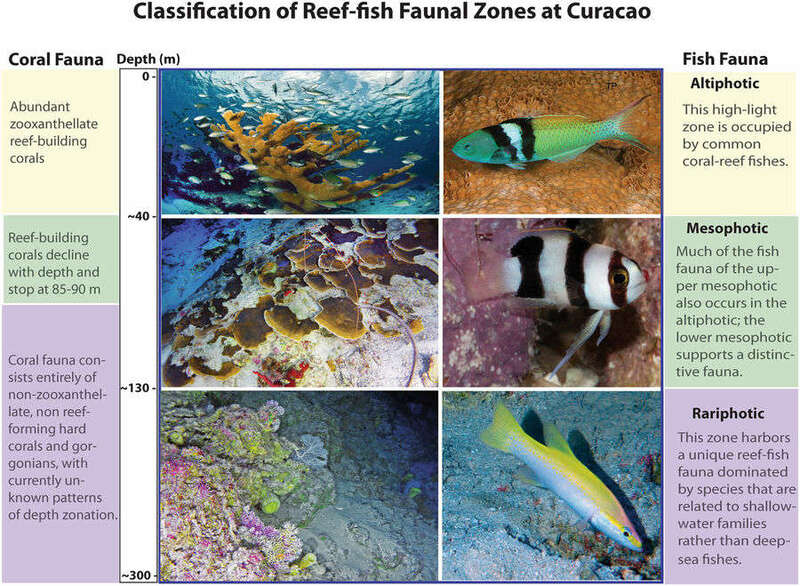 Countering the expectation of a barren underwater landscape, the team documented 4,436 individual fish during 80 manned dives around Curaçao Island that were initially undertaken to explore whether shallow-reef fish take refuge in deeper waters due to the widespread decline of their habitats. Findings from the massive survey, published in Scientific Reports, have already led to the description of about 30 new species and six new genera of rariphotic specialists. According to author D. Ross Robertson, these numbers will continue to grow as the data is analyzed, given that about one-fifth of the fish spotted had never been encountered before. 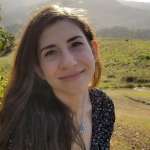 "Reef ecosystems just below the mesophotic are globally underexplored, and the conventional view based on the few studies that mention them was that mesophotic ecosystems transition directly into those of the deep sea," said Carole Baldwin, lead author and director of the Smithsonian's Deep Reef Observation Project (DROP), in a statement. "Our study reveals a previously unrecognized zone comprising reef vs. deep-sea fishes that links mesophotic and deep-sea ecosystems." Despite lacking the algae that form the bottom of food chains in traditionally defined reefs, the majority of rariphotic zone residents are fish that are also found in shallow and mesophotic zones – evidence that these species can survive in a range of depths that is double what we previously estimated. And curiously, very few deep-water specialist species (who would be more accustomed to such low-light conditions) were observed. Genetic and physical analysis of several scaly specimens further revealed that some of the species endemic to the rariphotic zone evolved recently from shallow-water relatives, though what selective pressure caused the transition is unknown. The DROP researchers hope that future studies will illuminate how coral die-offs and climate change-driven ocean temperature rises are affecting life in the mesophotic and rariphotic. Another good motivator for increased research? The authors predict that they have only scratched the surface in terms of astounding deep-reef biodiversity.